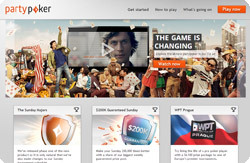 Party poker is online since 2001 and it is one of the biggest and most trusted poker rooms in the world. In 2006 they decided to exclude USA players, thousands of players was lost, but today they are almost up to what was lost and PartyPoker is one of the busiest sites and the greatest European poker room. The room offers all popular types of games like Texas Hold'Em, Omaha Hi/Lo and 7 Card Stud. Also have a nice loyalty program plus impressive promotions with tons of special events and qualifiers to big live events (Aussie Millions, WSOP, WPT). Their software is great and you will have the best time while playing on Party poker tables. To grab money from this poker room please read terms on Party poker bonus page. If You are a poker bonus hunter and Party Poker promotion isn't attractive enough for you, please visit our poker bonus section where we maintain updated list of bonus offers. About software Party Poker software is being constantly updated to ensure players get the most out of their playing experience. Software works in all major platforms like Win, Mac and Linux and is one of the most sophisticated, yet easy to use, poker clients. 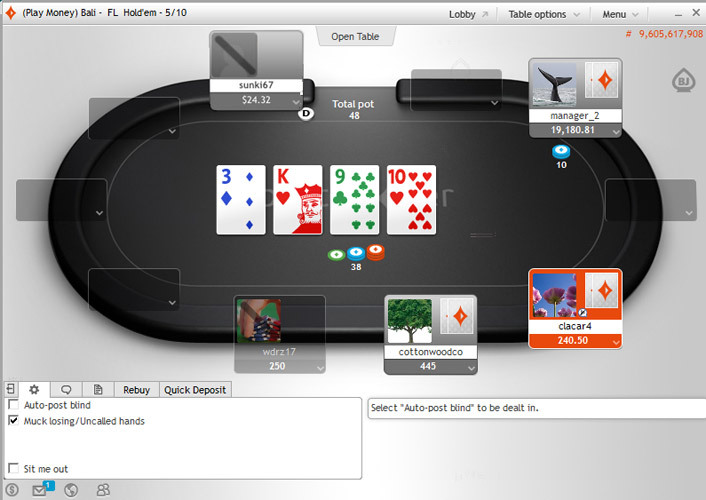 Beside standard features the software offers some special features such as "Hot hand" which notifies you whenever you get a specific hand. 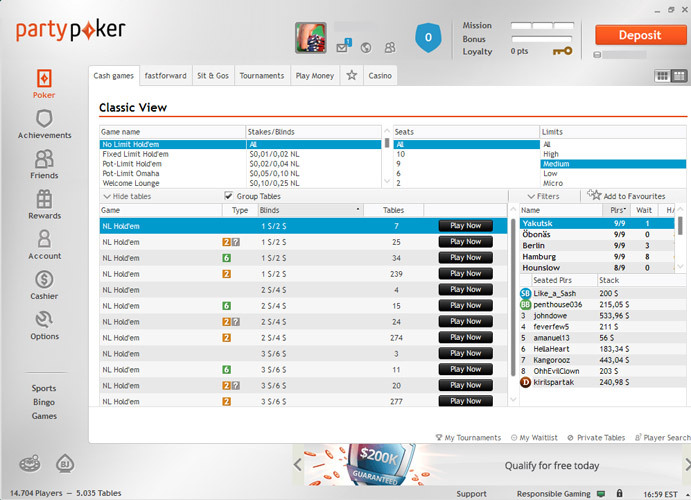 If you are interested in a faster paced action, Party Poker allows you to play at 12 tables at once and in case you use two monitors client will automatically detect it and allow you to cascade or tile your tables across both screens. Party Poker competition For the LOW stakes no-limit games the competition is pretty soft, but when it comes to the MID to HIGH stakes no-limit games you can expect tough opposition.